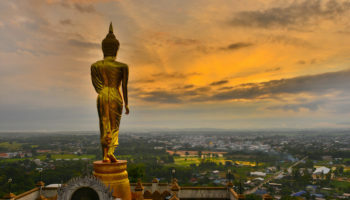 With great food, a tropical climate, fascinating culture, ancient ruins and excellent beaches, Thailand is a magnet for travelers around the world. With so many thing to see and do there are also a wide range of organized tours on offer and selecting the right one can be a bit daunting. 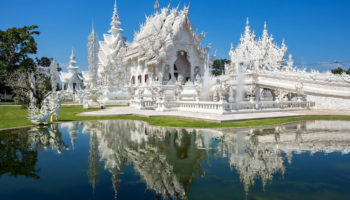 In this list we give an overview of the different kind of tours of Thailand that are available and some of the things that can be experienced on these trips. 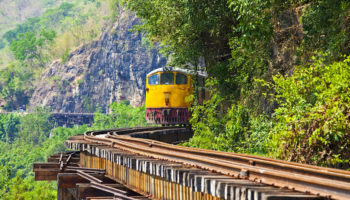 On this historical tour, visitors will bear witness to Thailand’s fascinating past, from ancient timeworn temples to the monuments of World War II’s Thai-Burma Death Railway. Leaving Bangkok behind tour members will head to Kanchanaburi in western Thailand. Famed as the location of the Bridge on the River Kwai, Kanchanaburi is a beautiful town surrounded by verdant jungle, waterfalls and rivers. 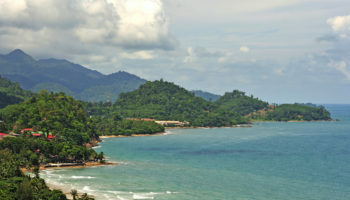 This trip is often included as part of the longer Northern Thailand tour (see below). Colorful capitals, traditional culture and tropical natural wonder, this adventure tour is seasoned with all the spice travelers would expect from these exotic regions. Besides the capitals of Thailand, Malaysia and Singapore, tour member will also discover Melaka’s colonial past, cool off at a tea plantation in the Cameron Highlands or hike through peaceful rainforest. Want a family getaway that’s a little different? The combination of culture, friendly people, exciting activities, great food and stunning scenery make Thailand an ideal family destination. Families can visit the legendary Bridge on the River Kwai in Kanchanaburi, explore ancient ruins at Ayuthaya, shop in colorful markets in Bangkok and visit an Elephant Nature Park in Chiang Mai. A family tour is a great way to introduce the kids to a new world and have a great holiday at the same time. Laos is a small country famous for its relaxed atmosphere. 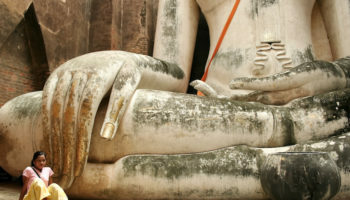 A great way to extend a tour of northern Thailand is to combine it with Laos. 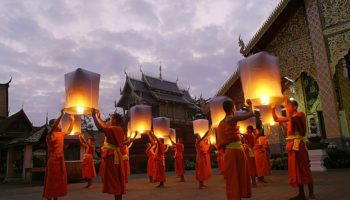 Most visitors to Laos travel to the capital Vientiane from Bangkok and then head north to enchanting Luang Prabang. 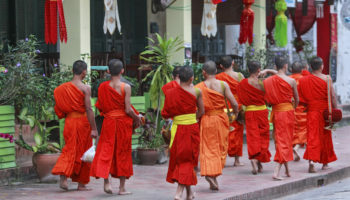 This is a truly unique city with beautifully preserved gilded temples, orange-robed monks, traditional wooden Lao houses and grand properties from the French colonial era. From the energy of Bangkok to the calm of Laos, this trip is a study in contrasts. The food in Thailand alone is reason enough for a trip to this country and a culinary journey is a great way to experience the fresh aromas and heavenly spices that make Thai food a worldwide phenomenon. 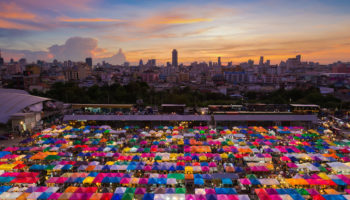 Food aficionados will explore bustling markets spread out over land and water in Bangkok, and taste exotic fruits and aromatic dishes. They will also learn to prepare a northern Thai dinner themselves in Chiang Mai. A tour like this will show you the secrets of where to eat and how to make this world-famous cuisine and combine this with all the must-see sights of Thailand. Thailand is famous for its beaches & islands and a great way to go island hopping is aboard a sailing catamaran. With an experienced captain navigating the southern islands, the catamaran will drop anchor at places like Ko Phi Phi, Railay and Koh Khai Nai and secret spots perfect for a swim. Travers can also enjoy snorkeling, dining on Thai cuisine and sleeping moored under the stars. This trip is similar to a Northern Thailand tour (see below) but after returning to Bangkok the journey continues to the beaches of South Thailand where travelers can enjoy swimming, snorkeling or simply relaxing. 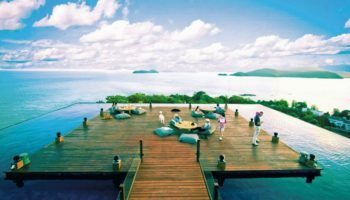 The beach destinations are often Krabi or the island of Phuket while Phang Nga Bay’s spectacular jagged cliffs could also be included. This is the most complete journey of all the tours of Thailand. Thanks to the stunning temples of Angkor, Cambodia is firmly established on the Southeast Asian tourist trail and a trip to Thailand can easily be extended to its eastern neighbor. 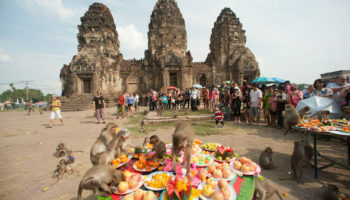 Starting from Bangkok, this tour will take travelers to Siem Reap, the gateway to Angkor. Rediscovered at the end of the 19th century by French explorers this vast ruined city is one of the most popular sites in Southeast Asia. Highlights of the ancient capital include the magnificent temple of Angkor Wat, the enigmatic Bayon within the walled city of Angkor Thom and Ta Prohm, also known as the ‘Tomb Raider’ temple. There are approximately 7 main hill tribe groups who migrated from neighboring China, Tibet, and Myanmar to the rural highlands of northern Thailand. Their traditional way of life as farmers in the mountains is a fascination to many travelers in the region. There are hill tribe trekking package tours from 3 to 5 days available, starting in Chiang Mai or Chiang Rai. This involves walking in the forest, visiting hill tribe villages and may include elephant riding and rafting. The vibrant cultural and historical tapestry of Northern Thailand makes it one of the most authentic places to visit in Thailand. 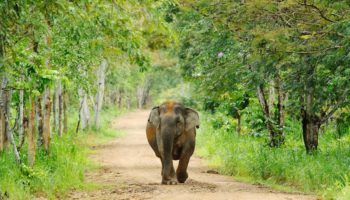 Starting from Bangkok, a typical tour of Northern Thailand will include the ruins of Ayutthaya and Sukhothai, a visit to a hill tribe village near Chiang Rai or Chiang Mai and a ride on an elephant through the jungle. 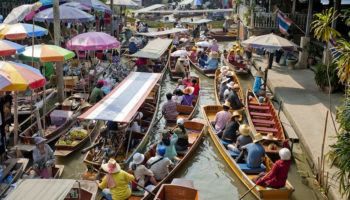 In Bangkok tourist will see the bustling streets of Chinatown, the stunning Grand Palace and its Emerald Buddha, watch a Thai kickboxing match or simply indulge in a Thai massage in preparation for the journey ahead.